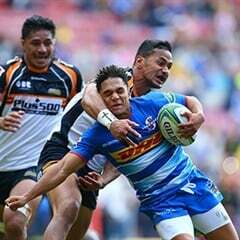 Cape Town - The Stormers breathed life into their flagging Super Rugby season and gave coach Robbie Fleck reason to smile with victory over the Rebels in Melbourne on Friday. The Stormers won 41-24 after leading 10-3 at half-time. The Stormers, who were resolute on defence, scored five tries through wing Dillyn Leyds, centres Damian de Allende and Ruhan Nel (2), and replacement No 8 Juarno Augustus. Flyhalf Jean-Luc du Plessis landed two conversions and a penalty, while his replacement, Josh Stander, was on target with three conversions and a penalty. The Rebels replied with tries by fullback Reece Hodge, scrumhalf Will Genia and replacement back Campbell Magnay. Flyhalf Quade Cooper, who had an off night in general play as his attempts at trickery went array for the large part, added all three conversions and a penalty. The Stormers, who were 0-3 on their Australasian tour heading into the match, picked up four points for their victory and moved to third in the South African Conference and seventh in the Overall log. The Rebels left empty-handed, but stayed top of the Australian Conference and second in the Overall standings. In next weekend's Round 10 action, the Rebels travel to Sydney to face the Waratahs (Saturday, April 20 at 11:45 SA time), while the Stormers host the Brumbies at Newlands (Saturday, April 20 at 15:05).